Studies have shown that in your lifetime, you are far more likely to require some form of long-term care than you are to file a significant auto insurance claim. 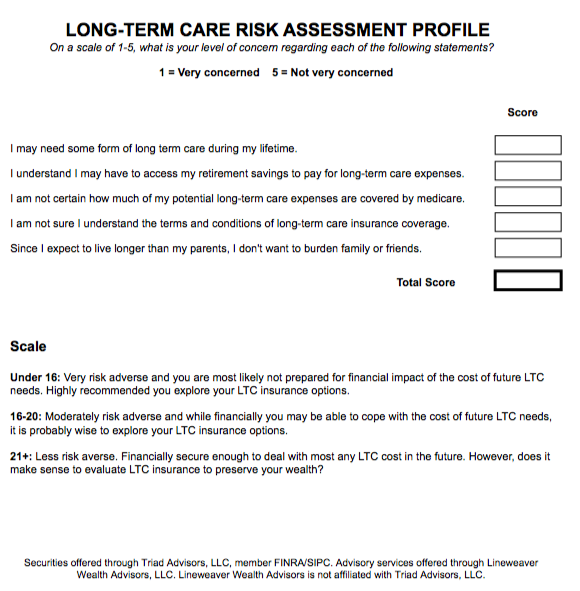 The cost of long-term care services continues to rise, so conversely the financial impact of long-term care costs can be crippling if you find yourself without LTC coverage when the need arises. The professionals at Lineweaver Financial Group can help you decide if long-term care insurance is appropriate for your individual situation, and walk you through the many coverage options available.